I know this is just a guess, buuut other than Superior Octopus and Iron Doom have there been any other correct guesses for this wave? No, but it seemed like a likely candidate. Im hopin Hammerhead is in this set. I tossed an Overdrive together a bit ago. I used a black ninja clan chestpiece (From The Wolverine line), a motorcycle helmet (From the Crazy 88 pack), and some black appendages. Totally sells the look. I'd take a picture and show you, but I'm mid move and that is an impossibility right now. I used the exact same formula. Miles Morales head underneath too. Only two of those are right. And also Hammerhead and Typhoid Mary! I'm thinking it's Spidey 2099 and Superior Octopus are right and as much as I would love a Modern Rogue I need a Classic BOEM/1st Joined X-Men Rogue more. When this was originally announced I went wish list mode very quickly and sadly the below doesn't hold up at all. ...I'm hoping it's the new Spider-Man 2099 (or an updated old version) and Iron Doom. Does modern Cyclops mean X-Face? or how he's ben hanging around the Inhumans with the torn up poncho. Or Champions Cyclops? ANAD Spider-Man 2099 and Superior Octopus seem like the best guesses to me, too. Maybe black & gold Wasp could be the highly requested new version of an Avenger? The Ant-Man and the Wasp movie will help to raise her profile. If Superior Octopus is right, that would make the unpublished variant an x-villain. That one seems like it would pretty hard to guess, at least without further clues. Zach already said the villain wasn’t from the X universe. 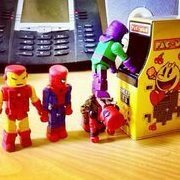 Thinking the two right are Iron Doom and Superior Octopus. Thinking about it now, didn't we just get an updated 2099 in one of the recent Walgreens wave? Trev, I call Modern Cyclops the X-Face since it was the last 616 costume he had to my knowledge. Boomerang / No clue... Thor or Hulk variant? I’d be all for an X-Face Cyke. I actually really dig that costume. However, I’d rather it be a base figure rather than have a slip cover mask for the X-Face portion. The new villain isn't from the X-verse, but I think it's pretty safe to assume one of the others is. Thinking about it now, didn't we just get an updated 2099 in one of the recent Walgreens wave? Spikey Iceman would be awesome! 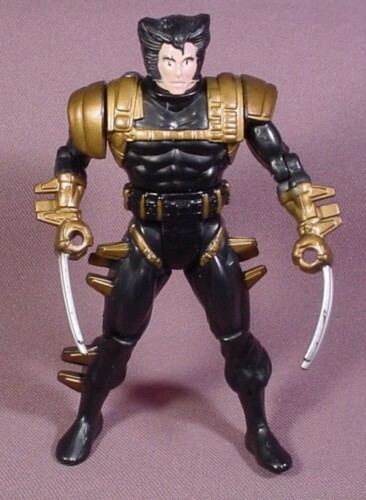 I've wanted one like the ToyBiz Mutant Armour version for some time now. I'd be extra chuffed if he included a mouthless Joe-Mad head to so he can be displayed with the AoA figs we already have. I wouldn't be mad about any kind of Wasp wither. ...didn't we just get an updated 2099 in one of the recent Walgreens wave? Yeah, I was talking about the current Spider-Man 2099 that looks completely different. Marvel Legends just made that one recently.